1767: Birth of Andrew Jackson, seventh President of the United States. Jackson’s father was from County Antrim who emigrated in 1765. The original Jackson homestead in Ireland was demolished in 1860, but a similar building is available for viewing at the Andrew Jackson Centre in Carrickfergus. Jackson served as President 1829-1837. 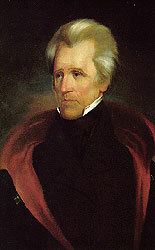 See biography of Andrew Jackson at Whitehouse.gov. 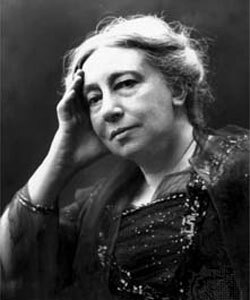 Lady Gregory wrote over fifty plays, the most famous of which is probably The Rising of the Moon about the escape of an Irish prisoner. In John Ford’s 1957 movie of the same name, the play featured as one of three short stories. Irish American Bruce Springsteen – THE Boss is inducted into the Rock n Roll Hall of Fame. He was introduced by Bono. Six years later, Springsteen would return the favor when inducting U2 into the Hall of Fame.